JRebirth Application Framework provides a custom ‘CardLayout’ as a JRebirth component by using its dedicated pattern wB-CSMvc. The StackModel class will do the job (provided by org.jrebirth.af:component artifact), you can find 2 usages here and here. 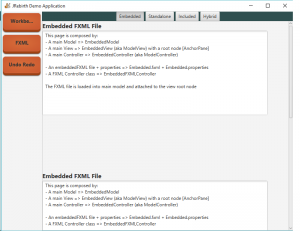 Each ‘card’ model can be called using a enum|modelKey identifier, and each stack has an unique name. The first sample is used for the JRebirth Demo Application, it’s a pretty simple application that will allow to display other JRebirth showcase applications dynamically loaded as JRebirth module (from a separate and independent jar). 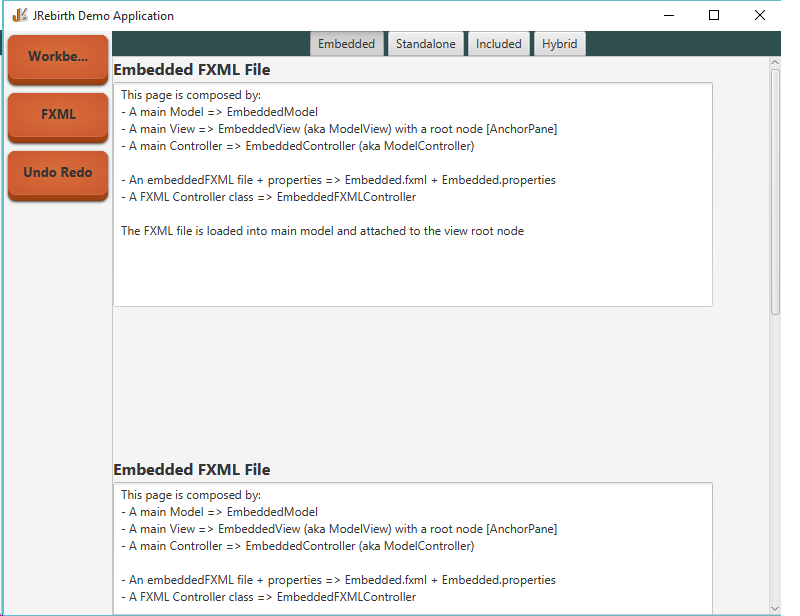 This application will load its first model (MainModel) and put its root node into the scene root node (StackPane, automatically built).The MainModel will list all application’s sub modules to add a button entries into its left menu, and a StackModel that will display each module content. The StackModel is loaded using special annotation using its unique String key.